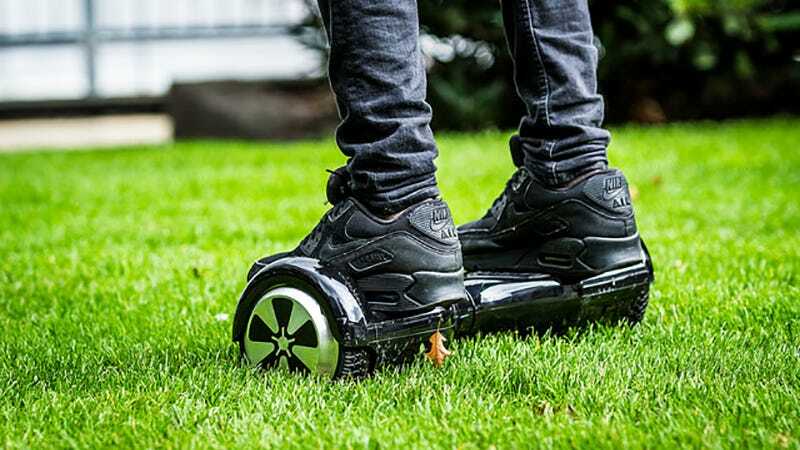 In September, Segway filed a lawsuit against Inventix for the not-Hoverboard, claiming a violation of their patents. On December 23, Segway filed two more suits, adding Razor and Swagway to the list. The suit against Razor is fundamentally the same as the original suit against Inventix—not so surprising, since Razor bought rights to Inventix’s patent back in November. The major difference there is that the first suit claimed that Inventix’s Hovertrax infringed on five patents. They’re now claiming six. The suit against Swagway takes issue with three patents and adds the additional wrinkle of a trademark infringement claim. Unsurprisingly, Segway’s claiming that marketing a product under the “Swagway” name violates their trademarks on “Segway.” Segway argues that “Swagway” causes confusion, making consumers confuse Swagway products with ones made by Segway. Swagway filed for a trademark on the name in July, but the Patent and Trademark Office refused it in November citing “a likelihood of confusion with the marks, SEGWAY.” Which doesn’t look great for Swagway. Both complaints were filed on December 23 in the United States District Court for the District of Delaware, with Segway asking for damages and an injunction prohibiting the sale and import of the offending products. It’s unclear whether they’ll win on every count, but there’s every chance Swagway is going to have to undergo a name change. At the very least.